Multiple sclerosis (MS) is a chronic disease affecting the central nervous system and varies in severity from patient to patient. Approximately 400,000 persons currently suffer from MS in the United States. MS is a unique and complex disease that typically strikes young adults between the ages of 20 and 50. Although there is no cure for MS, most patients can expect a near normal life span. For those who suffer from severe symptoms or disabilities, assistance from a home care provider may be necessary. Psychosocial support for patients and their families is often just as important as medications and rehabilitation therapies. 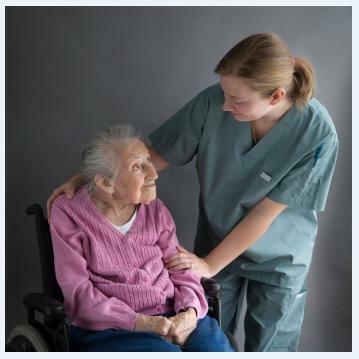 MS patients who live independently with the help of a home care aide must be carefully watched for signs of depression. Caregivers who use a home care system or home care software, such as provided by ClearCare, can track patient moods and make appropriate recommendations to the rest of the care team. Tracking symptoms and their progression is easier than ever with the help of a home care system or home care software, such as ClearCare. Caregivers can record daily notes at the point-of-care on ClearCare’s home care software, immediately updating administrators and family members regarding patient concerns. Coordination and communication between each member of the care team is vital for quality patient care. Such interaction is made possible with ClearCare’s home care system and home care software. All communications are recorded for future reference and are immediately accessible via any mobile device. Even family members are kept in the loop with ClearCare’s web-based home care system. The goal of treating the MS patient – regardless of the stage of the disease – is to prevent and relieve suffering, while supporting the best possible quality of life for patients and their families. While advanced MS sufferers may require placement within a long-term care facility, many patients live at home with the help of a home care provider. With the added security of a reliable home care system or home care software, more MS patients should be able to enjoy their independence and remain at home.